Eric’s passion for sports is rivaled only by his talent at narrating them. He is part of the quartet that brings you “4 Quarters” every Tuesday and Thursday. 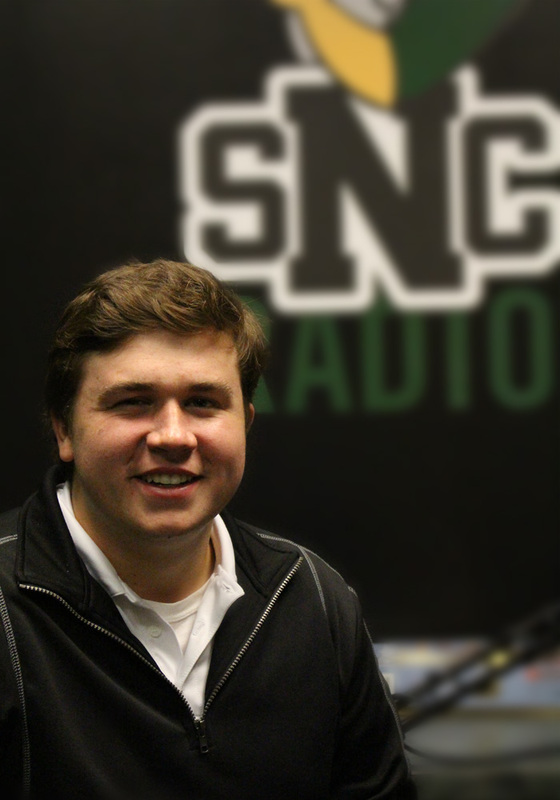 When he isn’t conversing with his fellow sports enthusiasts on air, you can find Eric broadcasting Green Knight Athletics such as basketball and football games. His favorite sport is hockey and he not only enjoys chatting about it, but also showing his skills on the JV team at SNC. The most impressive and notable moment of Eric’s radio career was his opportunity to interview Packer legend Ahman Green (interview can be found on our website).